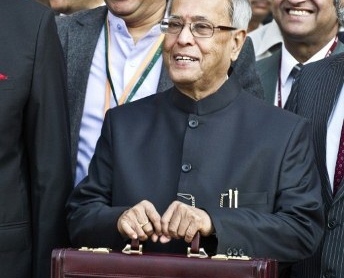 After the Union Budget 2012 announcements made by Finance Minister Pranab Mukherjee, industry and stock markets aren’t very happy. The BSE Sensex closed Friday with a decline of 209 points. Good thing that happened for the automobile sector was the postponement of additional duty on diesel vehicles. Indian markets are mainly growing on the back of higher volume in diesel segment in case of cars. Many companies will now invest more and increase their capacity. Crude was ruling at $126.16 per barrel and this might lead to increase in oil prices in India. Gold was trading at Rs 27884 per 10 grams and Silver at Rs 57231 per kg. USD-INR has again crossed Rs 50 level. Euro was trading at Rs 66. Market experts are expecting small correction on Wall Street and it might have impact on Indian markets as well. Political issues are also becoming a concern. With TMC causing trouble for the UPA government, things might turn difficult for Congress. At the moment, the trouble has been delayed with the resignation of Railways Minister Dinesh Trivedi. However, going forwards, things could be tough for UPA-2.